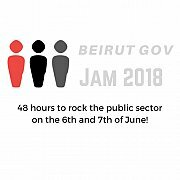 The Global GovJam is a global 48 hours event which takes place simultaneously in over 30 countries around the world in which public servants use human-centered design approaches to develop innovative solutions towards challenges faced by the public sector. The volunteer-run jam is based on the spirit of experimentation, co-creation, and co-operation and was originally co-initiated by The Australian Government's Department of Industry, Innovation, Science, Research and Tertiary Education; by Protopartners; and by WorkPlayExperience. However, now, public servants around the world ( Dundee, Barcelona, Brazil, Vienna, ...) take part in this movement to embrace more and more service design innovation approaches into their work. 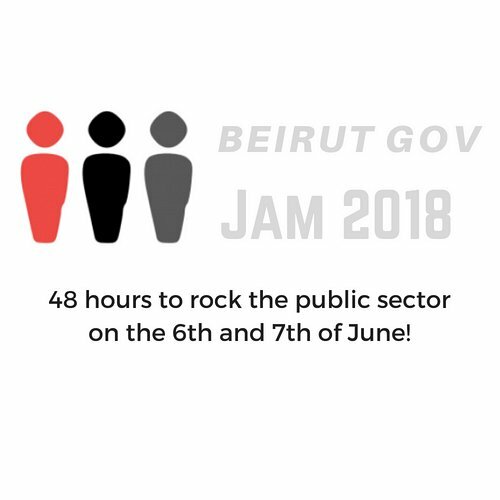 And in 2018, it is time for Beirut to be the first city in the Middle East to host the Beirut Gov Jam! · Prototyping and testing of the solution that fits best. Methods: Storyboard, Scenes, Paper and Digital Mockups, .. The goal of the jams in general is to get different stakeholders to work on innovative and citizen-friendly solutions. And in reality this is not limited to public servants but can also extend to students, designers, business owners and so on! What can participants get out of the jam? · Better understand the needs of citizens through on the-spot research. What do you need to do to attend the Jam? The Jam is free of charge and open to the public but in due to the limited capacity, anyone interested in attending need to email the organizer on haya.ht.farah@gmail.com to secure their place and get sent information about the location! The event wouldn't become a reality without the vision and support of the Institut Des Finances Basil Fleihan!